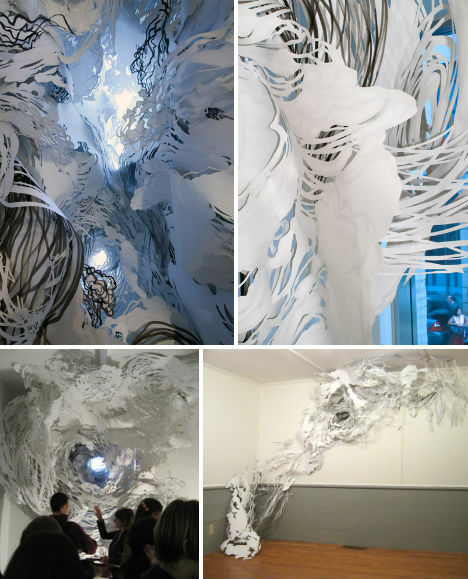 Billowing clouds of cut paper installations that cast dream-like shadows on a gallery wall, delicate paper drawings plastered on gritty urban surfaces, complex layered sculptures of hand-sliced paper and intricately crafted sheets the size of tapestries: paper art in its many forms is elevated to new heights by these 14 (more) masters of the craft. 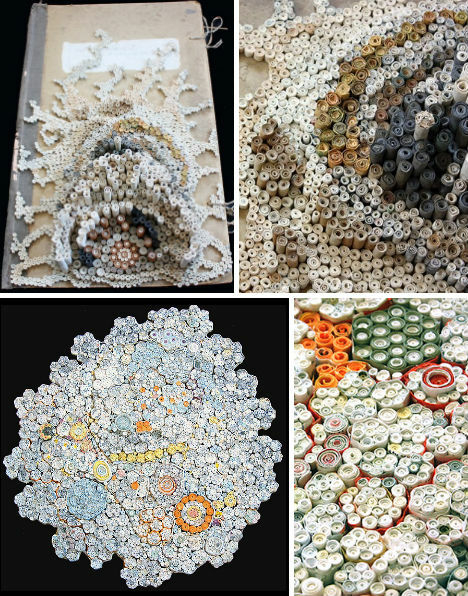 Bovey Lee, Hunter Stabler, Jen Stark and 11 other artists transform an often-disposable material into stunning works of art that will make your jaw drop. See 48 more works by 14 additional artists at WebEcoist. 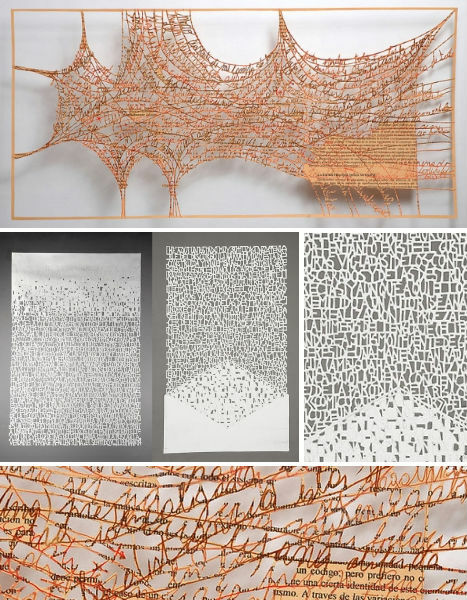 Pablo Lehmann’s incredible paper creations consist of layered sheets of paper, hand-cut with text and abstract shapes and stacked for a three-dimensional effect. 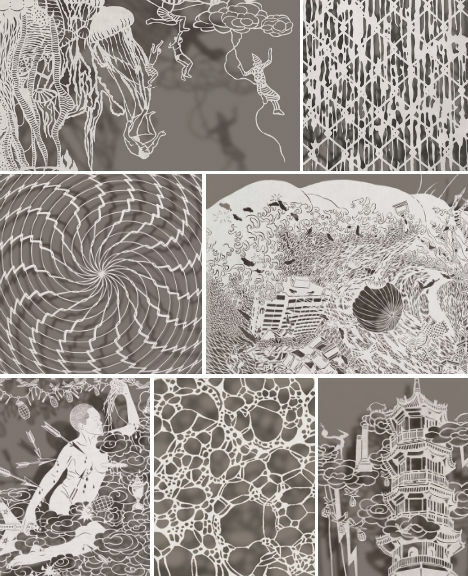 The Buenos Aires, Argentina-based artist has shown his work at galleries in South America. 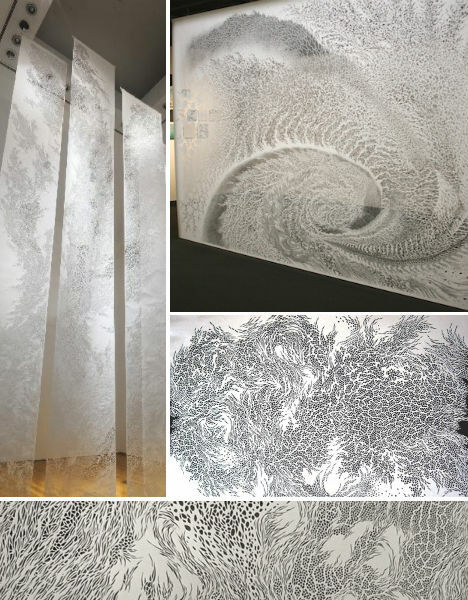 Swirling vortices of water and wind, along with the complex natural structure of cells, provide inspiration for jaw-dropping, huge cut paper tapestries by Tomoko Shioyasu. Measuring as large as twelve feet high and eight feet wide, Shioyasu’s tapestries are especially breathtaking when displayed in white gallery spaces as the negative space in the paper allows intricate patterns of light to shine through. 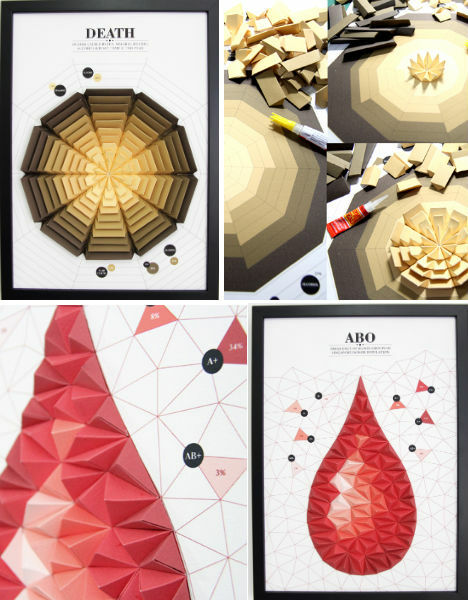 Infographics come to life in colorful, three-dimensional framed displays by Singapore graphic design student Lim Siang Ching. 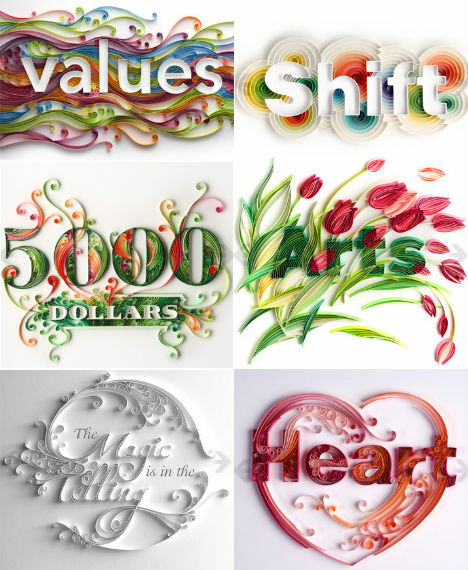 The artist created these posters as degree projects when graduating from LASALLE College of the Arts. 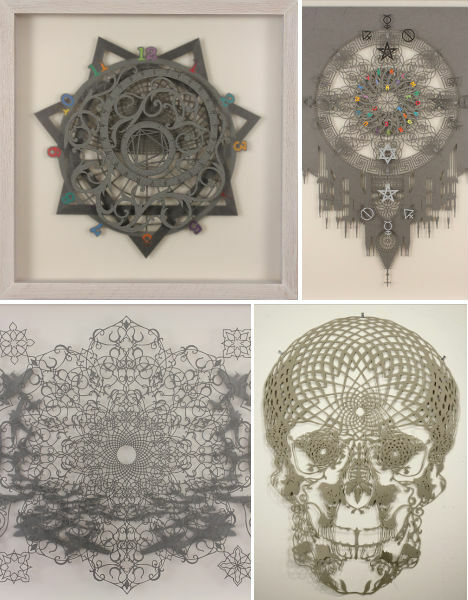 While many other paper artists cut, burn or sculpt their chosen medium into works of art, Gjertrud Hals takes a different tack: spraying paper fibers onto sculptures made of thread or wire. 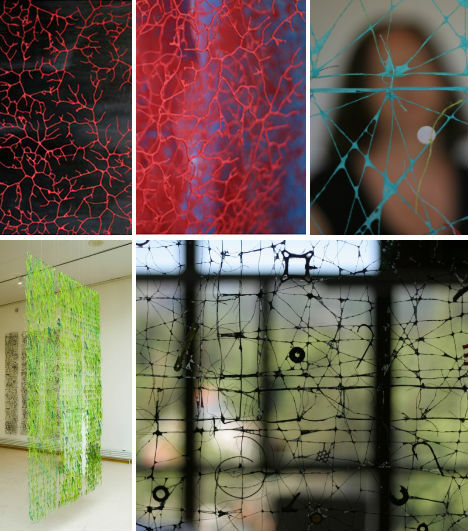 The final result often looks organic in nature, resembling veins, coral or spiderweb. 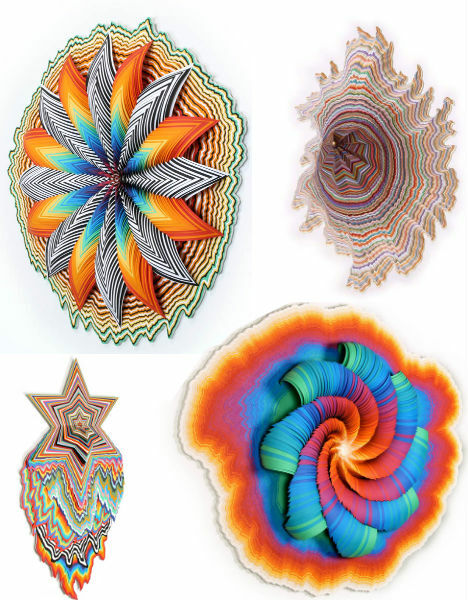 “My work is inspired by all sorts of things, from wormholes, to how micro and macro designs relate to each other, and the layers of a plant, to outer space,” says artist Jen Stark, a Miami native who began creating her unusually vibrant brand of kaleidoscopic paper art while studying abroad in France. 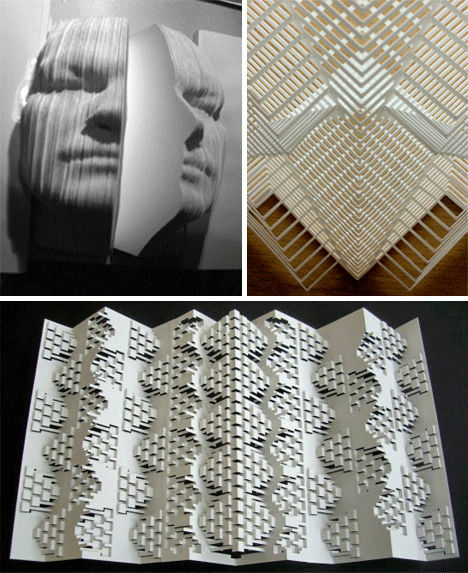 Stark layers cut pieces of colored construction paper into three-dimensional sculptures that are sometimes so deep, you can reach your hand into them. 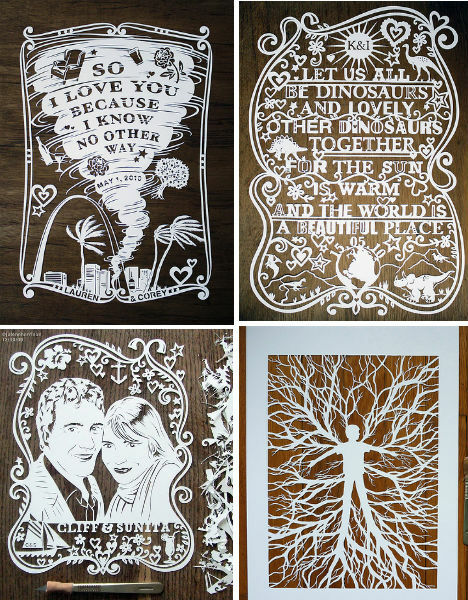 Imagine the focus and steadiness of hand that it must take in order to create such tiny paper cut-outs by hand. 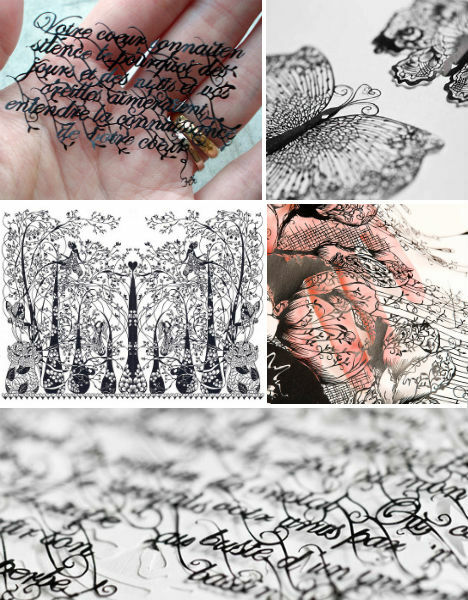 Japanese-born, France-based artist Aoyama Hina captures an incredible amount of detail in flowing script and the cells of a butterfly’s wing. 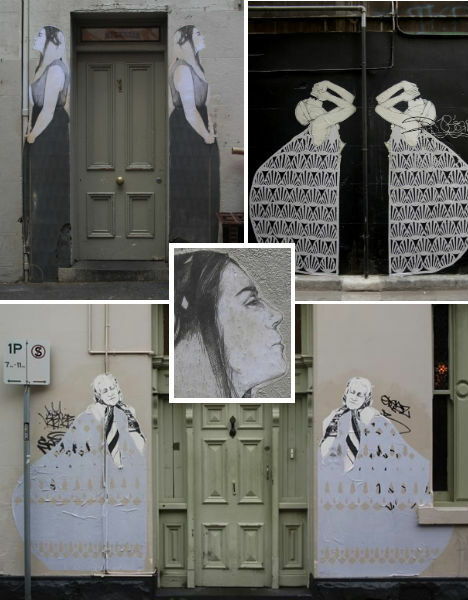 Want a beautiful paper illustration or portrait of your very own? 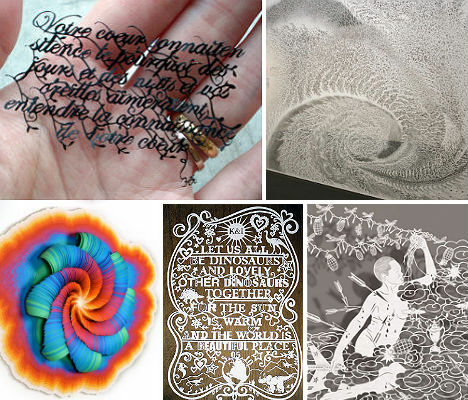 British paper artist Julene Harrison takes commissions, often producing stunning custom works for weddings and other special occasions.